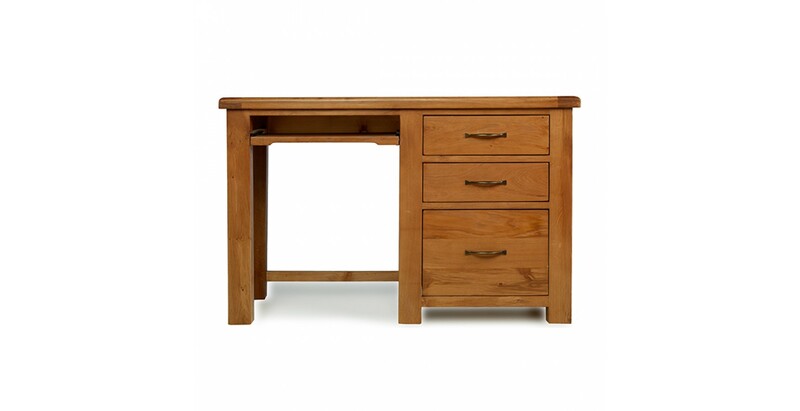 Let's go to work. 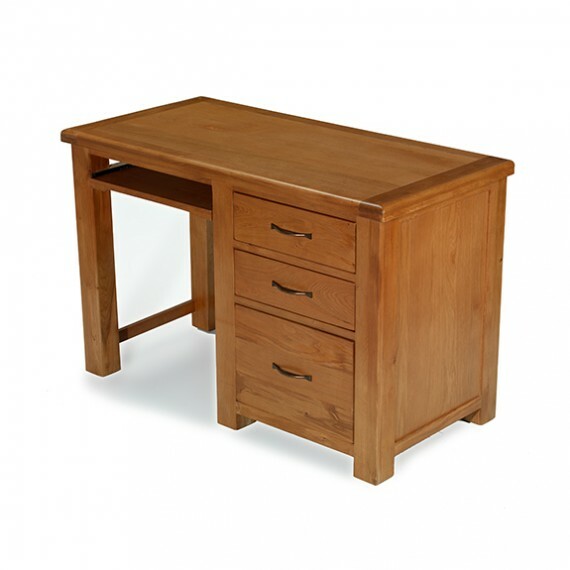 You'll be turning up early and leaving late when your working days are spent at this lovely desk. 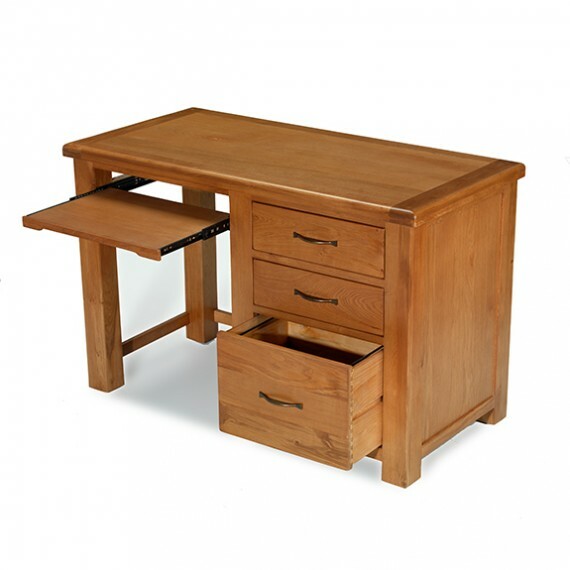 With a chunky top for your laptop, a slide-out platform for your PC if you use one, two roomy dovetailed drawers for your pens and pencils and a large drawer for all your foolscap files, it has everything you need for a productive day at the home office. 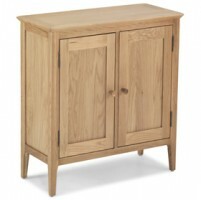 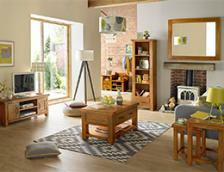 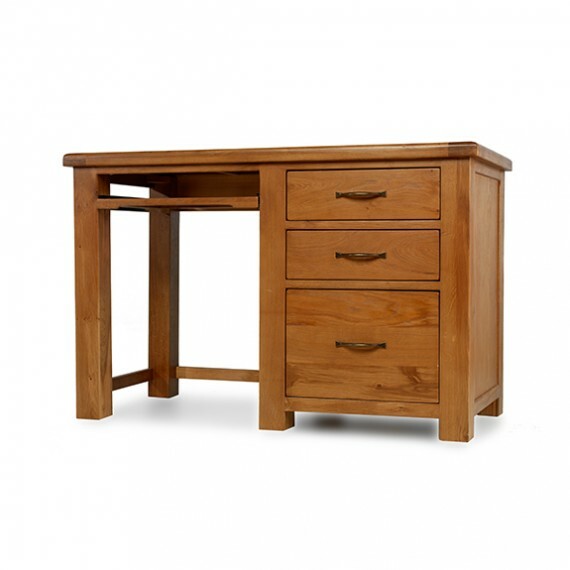 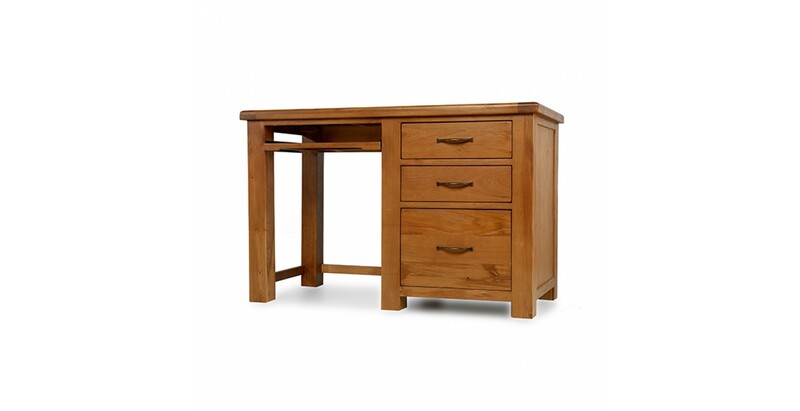 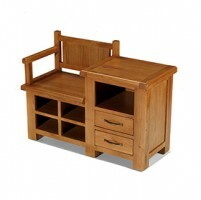 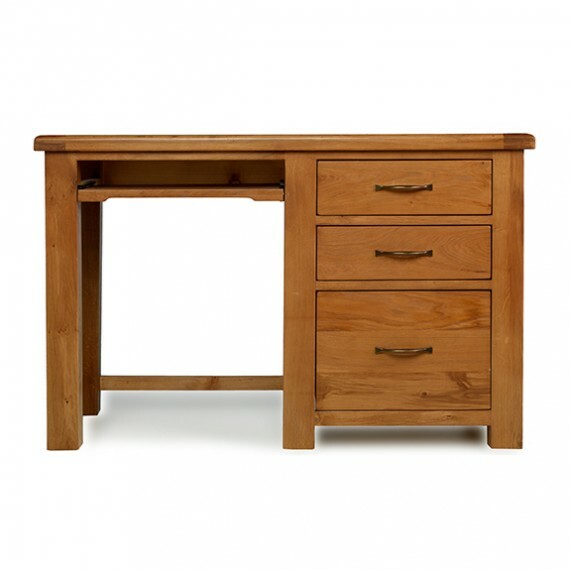 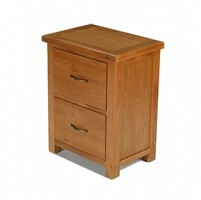 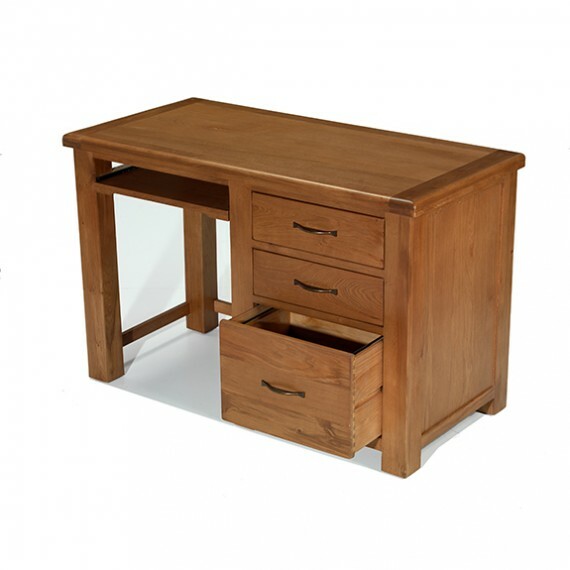 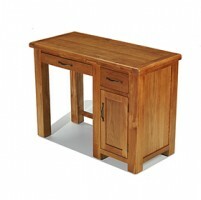 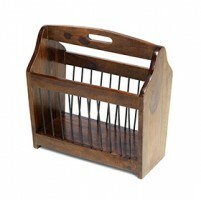 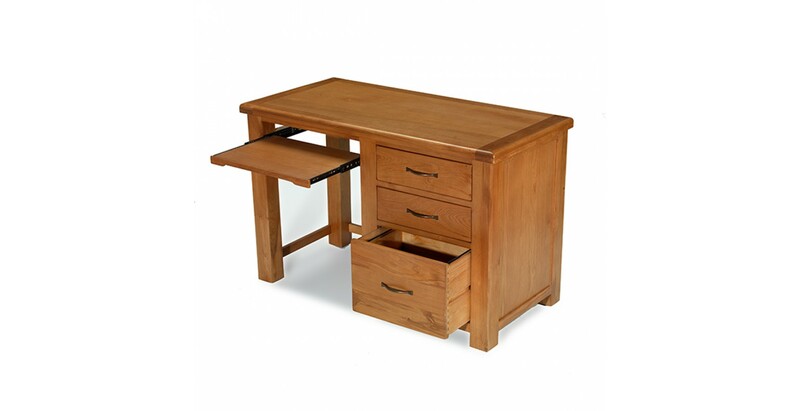 Superbly made from oak, its natural warmth and rustic beauty are a lovely contrast to its sleek modern lines. 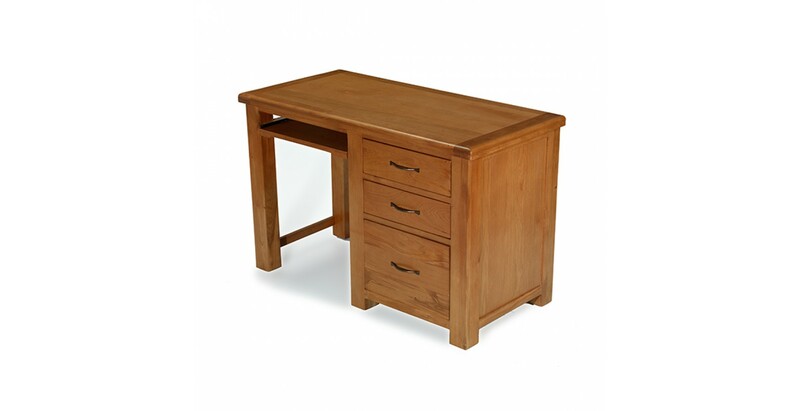 With some lovely touches like the subtle peg detailing and brass-coloured handles, it's been finished with a wax lacquer to allow the wood's characterful grain to star.